Black and white images work better if the color is too different between each image. For instance, Monroe is showing her teeth and lips (white and red), but Einstein is showing lips and a mustache (red + gray). In order to fix any obvious mis-match in color, you can make each image black and white. 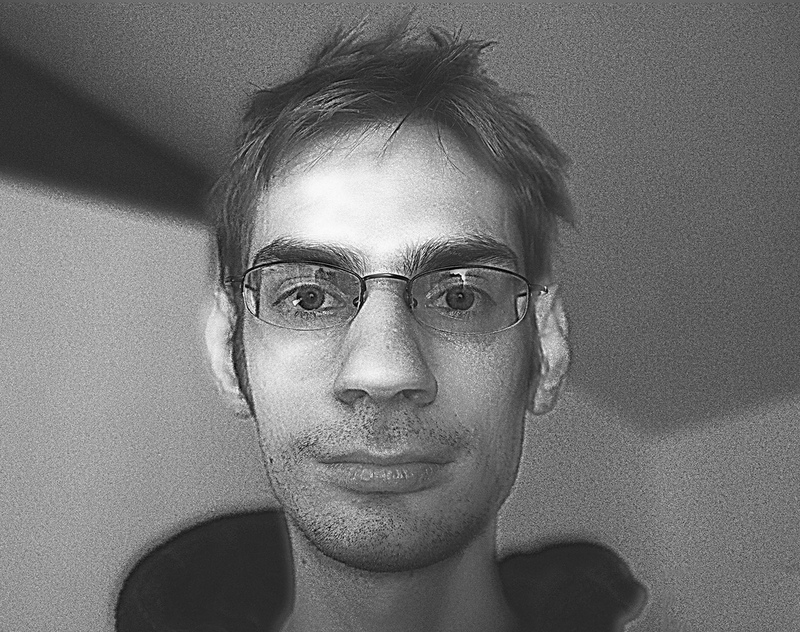 In order to fix any alignment mis-matches of facial features, you could theoretically use the Liquify Tool. If you look at this picture from far away (or with your eyes defocused), my lips appear to be smiling. If you view this picture close-up (as you would normally), I have a dead-pan face. Also (when viewing normally), if you focus your attention to the eyes, the lips seen with your peripheral vision may appear to be smiling, but as soon as your eyes look /directly/ at the lips, the smile vanishes. Emotionally ambiguous face! Spooky mysterious. There are many potential different uses for this technique - including subliminal messages, etc. There are not many hybrid images on the net at the moment - lets change that! Submit your images to Flickr and tag them with "Hybrid Image" and maybe "Visuospatial Resonance", and post them inside the PhotoExtremist Flickr Group, and maybe even on the PhotoExtremist Facebook timeline. 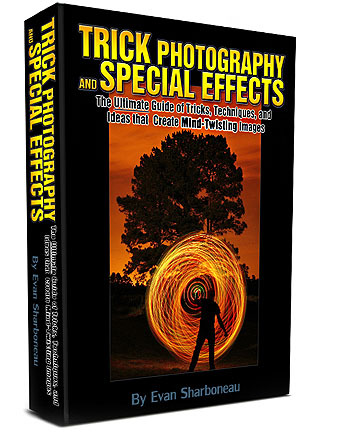 Ive tried out many of your work from trick photography book. All I have say its really awesome. You’re very very creative and this hybrid thing is just another feather in your cap! Thanks and cheers. Evan – you rock! I love your work and this one is another amazing example of a great mind at work! Thanks for sharing! Very very nice…however your creativity makes me jealous.. but keep doing what you do.. you are a real inspiration ..going to try this with infrared..
Great, thanks for sharing your knowledge… I will try this. Your the best. Enjoyed the video, very helpful. Interesting effect. Would this also work for the effect of “eyes following you” in a painting or photo? I can’t wait till I get my new canon 6D in December to start trying some of the things in you’re book . Really I enjoy this video amazing.. great technique and tutorial. Amazing is everything, enjoy everything. Great!! thanks for your post. This is an amazing and helpful post, Thanks for sharing!